Winter is (hopefully) over for the season and has taken its ice and snow with it. But there are any number of reasons you could slip and fall at your apartment complex. Here’s a rundown of what you need to know if you are hurt on your landlord’s property. 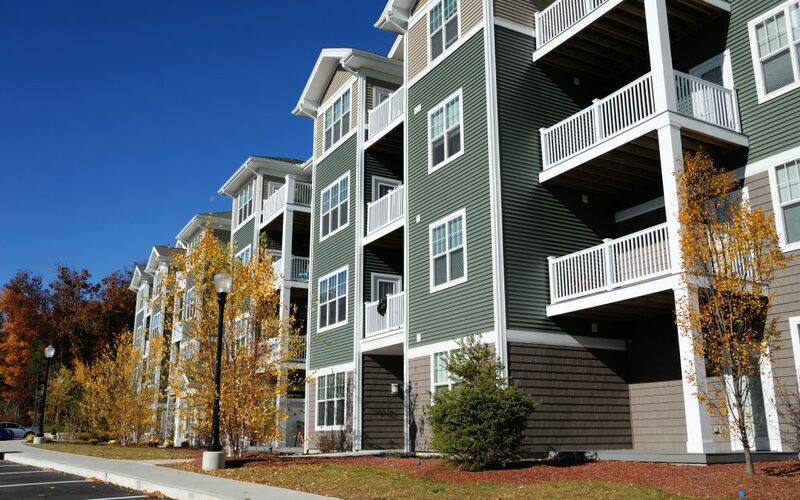 Tenants can face many risks going in and out of their apartment complexes. A recent Michigan Court of Appeals case, Estate of Trueblood v P&G Apartments, LLC, lays out a useful framework for how to know if you have a premises liability case because of a slip and fall at your apartment. The plaintiff in the case was injured when he slipped and fell on what he believed was ice on the sidewalks outside of his apartment complex. His estate sued his landlord for the injuries. The landlord said that he and his assistant had salted the sidewalks the night before and run the snow blower. However, several tenants reported they hadn’t seen anyone clear the 3-4 inches of snow that had fallen the night before. Common Areas: Where Did the Accident Happen? The first question in any premises liability case based on a slip and fall at your apartment is where did the accident happen? If you fell in your own apartment there is usually no one to sue. However, the landlord controls the “common areas” of your apartment complex. This can include hallways, stairwells, porches, parking lots, and in Trueblood, sidewalks. When it comes to the common areas, your landlord has a duty to his or her tenants to take reasonable care to protect you from unreasonable risks of harm caused by dangerous conditions on the land. That means if something is broken or risky, your landlord needs to take reasonable steps to fix it. If he or she doesn’t, you may have a premises liability case if the danger causes your injury. For Trueblood, the plaintiff said his slip and fall accident happened because the landlord failed to correct the dangerous condition caused by the ice and snow on area sidewalks. Open and Obvious Dangers: Should You Have Known Already? But just because something is dangerous doesn’t automatically mean you can sue if you are hurt by it. Michigan law assumes you will take care to avoid open and obvious dangers. In most cases, including Trueblood, that includes ice and snow. Judges say that Michigan residents know the dangers of slippery roads and sidewalks, so they can’t sue when they don’t take those risks seriously and are injured. Unreasonably Dangerous or Unavoidable: Could You Have Avoided the Risk? Still, there are also two exceptions within an exception when it comes to slip and fall cases. If the danger that caused your slip and fall was either especially dangerous (in a way you wouldn’t expect) or effectively unavoidable, you may still have a case. That means you aren’t forced to stay in your apartment until your landlord gets around to plowing you out. In Trueblood, the court said there wasn’t enough information to know whether the ice and snow was effectively unavoidable. There had been two entrances to the apartment complex. The Court of Appeals sent the case back so the jury could decide whether the plaintiff could safely have used the other door. Landlord Liability Statutes: Does Your Landlord Owe You a Duty Anyway? Even if you wouldn’t win a premises liability case, you may still be able to collect damages from a slip and fall at your apartment. Michigan law requires every residential landlord “to comply with applicable health and safety laws of the state and the local unit of government where the premises are located” (except when caused by the tenants). In Trueblood, that included a local ordinance for timely snow removal. State and city governments have a variety of laws designed to protect the safety of their residents. If you were injured because of a slip and fall accident at your apartment, your personal injury attorney can help you find out if there is a local law that protects your case. The Macomb Law Group, is a personal injury law firm in Clinton Township, MI. Our attorneys can help you review your claims against your landlord. If you or a loved one have been seriously injured, contact Macomb Law Group and get our team working for you.